Ulasan X Factor Indonesia 2015 Audition 2, hari jum'at 10 April 2015. 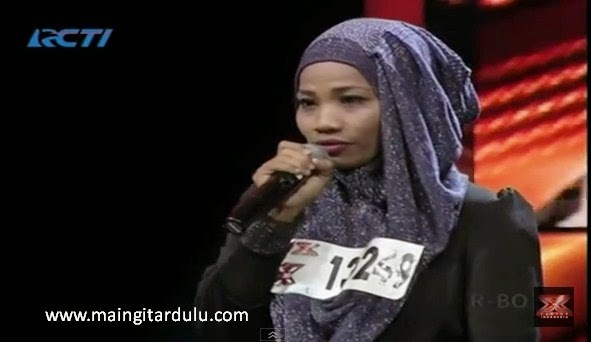 Berikut salah satu peserta audisi terbaik X Factor Indonesia 2015 Audition 2, Desy Natalia - I HAVE NOTHING (Whitney Houston) - Best X Factor Indonesia 2015 Audition 2. dilengkapi kord kunci gitar Desy Natalia - I HAVE NOTHING (Whitney Houston), dipersembahkan oleh MAINGITARDULU. Selamat menikmati penampilan Desy Natalia - I HAVE NOTHING (Whitney Houston) - Best X Factor Indonesia 2015 Audition 2. 'cause I'll never change all my colours for you. just all that you are and everything that you do. I don't want to have to go where you don't follow. I can't run from myself, there's nowhere to hide. you break down my walls with the strength of you love, mm.